Court rules that “zero-carbon” credits for nuclear plants are within state jurisdiction—a decision that could aid similar efforts in New York and New Jersey. The decision may also affirm state authority to enact renewable energy policies. A federal court has ruled that an Illinois subsidy for nuclear power plants isn’t an interference in federal energy markets — another win for state programs that want to pay struggling nuclear plants to keep their carbon-free power in play. On Thursday, the U.S. Court of Appeals for the 7th Circuit ruled (PDF) that Illinios’ Zero-Emission Credit program does not exceed state authority over its energy policy. The decision will allow the program to move forward pending an appeal, and could offer a supportive legal precedent for similar programs underway in New York and New Jersey, and being considered by other states. The Electric Power Supply Association, a group of power plant owners, had argued that the ZEC program’s out-of-market support would constitute interference in federal authority over interstate energy markets. But the 7th Circuit found that the ZEC program doesn’t overstep federal authority, because it doesn’t require participating nuclear plants to operate in interstate markets. “To receive a credit, a firm must generate power, but how it sells that power is up to it. It can sell the power in an interstate auction but need not do so,” Judge Frank Easterbrook, a Republican appointed by Ronald Reagan, wrote in the court’s decision. Easterbrook cited the 2016 Supreme Court case Hughes v. Talen Energy Marketing as guiding the decision. This case ruled against a Maryland state program that would have offered subsidies for plants only if they participated in the capacity market operated by mid-Atlantic grid operator PJM. But it also holds that state policies "untethered" to the wholesale power market should still be permitted under the Federal Power Act. Supporters of ZEC policies noted that the 7th Circuit ruling is the second to cite this Supreme Court case to support state programs that avoid mandating interstate energy market participation. The first, Allco vs. Klee, was decided in 2014 in favor of a Connecticut subsidy program by the U.S. Court of Appeals for the 2nd Circuit. Miles Farmer at the Natural Resources Defense Council argues that these court decisions are good for clean energy, because they also affirm state authority to enact renewable energy policies. In New York, the second state to propose nuclear zero-emissions credits, a federal judge ruled last year that the program was “constitutional” and “of legitimate state concern,” a win for nuclear power plant owner Exelon against complaints from coal and gas power plant owners, including Dynegy and NRG Energy. 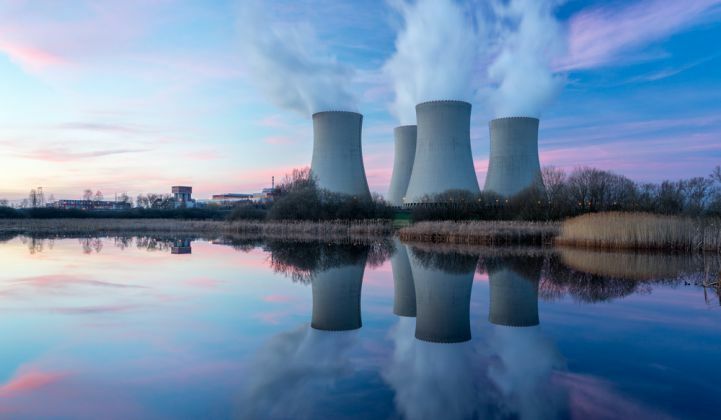 In April, the New Jersey state legislature passed a law to provide a $300 million annual subsidy for the state’s remaining nuclear power plants, a move that utilities Public Service Enterprise Group and Exelon said is needed to keep them open. ClearView Energy Partners said it expects opponents to challenge the ZEC program in the U.S. District Court for New Jersey on grounds similar to lawsuits filed in other states. The 7th Circuit decision highlighted that it does not address some of the state versus federal authority issues now being hashed out at the Federal Energy Regulatory Commission. Those include its August decision ordering PJM to remake its capacity markets in ways that could bar state-subsidized resources from competing. The 2-to-3 split decision was decried by Illinois and New York for its possible impact on their ZEC programs, as well as for renewable portfolio standard supports for wind and solar power. Meanwhile, utility FirstEnergy, which has been pushing the Trump administration for emergency bailouts for its bankrupt coal and nuclear power plant division, has also said that it will be forced to close nuclear plants in Ohio and Pennsylvania unless it receives "state-level policy relief" — a reference to zero-emissions credit programs being contemplated by lawmakers in both states.